What do The Gauge Numbers Mean? 1. 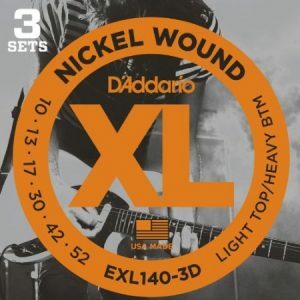 The D’Addario NYXL Nickel Strings. The best electric guitar strings can take your playing to the next level. The key is to get the right strings for your playing style. *badoing! * That’s the terrifying sound of needing to buy new electric guitar strings. I don’t know about you, but I have a special hatred for that sound and process. To begin with, it is so terrifying when one goes. Then, you have to deal with restringing the instrument. Which, isn’t so bad, except that it takes precious time away from playing. Not to mention that you when you wander into your local Guitar Center, you are faced with a dizzying array of options. Which brand is best? Which strings sound the best? Which ones are easiest to play? Which ones last the longest? Which ones should you choose for your style? That’s where this blog post come in. Below, I go over the important stuff you need to know when replacing or upgrading. Plus, I throw in some maintenance tips to help you get the longest life possible out of them! Finally, I’ve created a reviews-based guide to the best options available here in 2017 for online purchase. 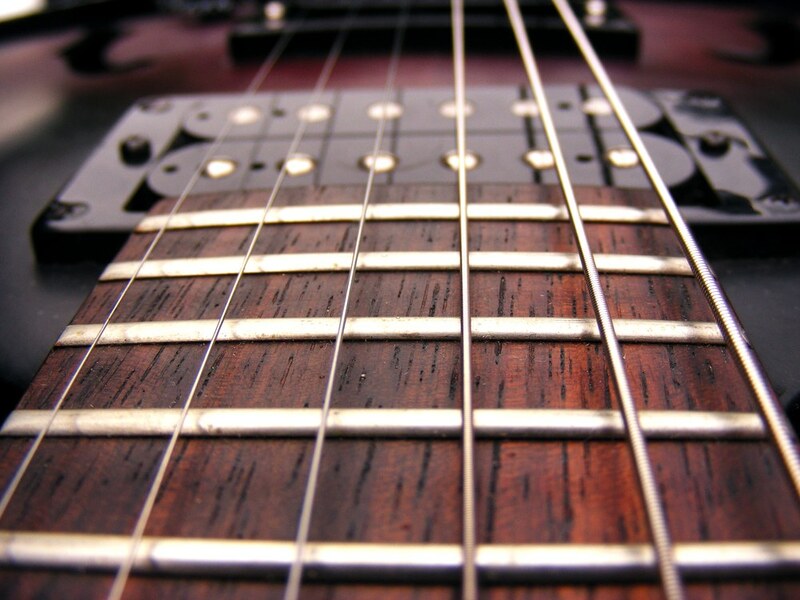 Remember: electric strings are wound with copper or pure nickel around a steel core. Acoustic guitar strings are wound out of bronze. So, you shouldn’t use an acoustic set on your electric guitar as their bronze windings won’t be detected properly by the pickups. Electric Guitar Strings come in different thicknesses. Their thickness is denoted by “gauge size”. Choosing the correct gauge for your playing style is a great place to start. Strings come in a range of gauges. The lightest are about .008″ thick. The heaviest are closer to .54″ thick. Lighter — thinner — gauge are much easier to work with. You can finger them more quickly, bend them more readily, and create those more intricate sounds that come with lead playing. They also exert a lot less tension on the neck of the guitar, making them a better choice for vintage guitars. They are also the best strings for beginners as they are the easiest on the fingers, and allow for easier playing without constantly fighting your own muscle weakness and the pressure needs for a good sound. However, they have a lot less sustain. And they naturally create less volume. Additionally, they are more inclined to breakage and buzzing. 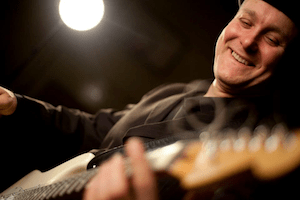 These are a better choice for lead guitarists and jazz style of playing. Because of their greater sustain, medium gauges are favored by rock artists for both solo and rhythm playing. Not only do they appreciate the better sustain, but they can be a little more abusive with medium strings without them going out of tune or breaking as easily. Heavy gauge strings have a lot of followers for a variety of different specialties. Heavy metal artists will not only use heavier strings to create that powerful overdrive, but you also see them used a lot for alternate tunings (ie Processional or Drop D). Blues players have also traditionally gone heavier. The heavier options deliver a much clearer tone and hold up better to the abuse of stage life. Stevie Ray Vaughan is well-known for having played a set of 13’s with Drop tuning. However, this isn’t a firm rule. My boy Jonny Lang plays with a light gauge set (lighter than you’d normally see for a bluesy style). It lets him bend his strings and coax that finesse out of it that he (and we) love. Most often, musicians and music store employees will just discuss the smallest string (or high E). So a .009 is a great, lightweight string for a beginner, while a .013 refers to a super heavy set of strings. (They often just say 9’s or 13’s). Some brands mix it up. I have had good success with Elixir strings, and you’ll see that sometimes they offer “light-heavy” combos that offer lighter gauges on the high notes for easy picking, and heavier gauges on the lower notes for better sustain and rhythm (also works really well for some alternate tunings). All guitars will need part off their string set to be wound. You see, to hit the low notes — and sustain them well — you really need a string with some mass to it. But if you just make a string of wire thick enough to carry the low notes, it is too thick to properly play and may actually injure the musician! And so, about 400 years ago, we figured out that wrapping the string in a coil of metal, added the needed heft without the problems posed by a straight wire. Traditionally, just the three heaviest strings on an electric instrument are wound. The rest appear to be a bare wire. 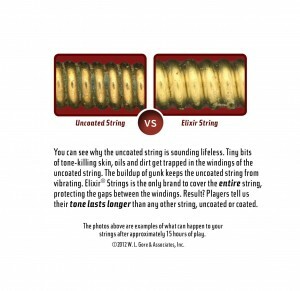 Here are the different types of string windings. Flatwound: A flat strip of metal wrapped around the core. They create softer, mellower, “buttery” tones and almost no squawk when changing notes. Round Wound: Probably the most common. Durable. Provides plenty of grip for the player. Also, causes the most noise when switching notes. Half Round (or semi-round): Very similar to the Round Wound but it has some of the roundness polished off of it. There are several variations available and they range from darker to brighter sounds. Round: Ok, you guessed it. This one is just a round wire. Best choice if you do a lot of note bending, as the string is under a lot less tension. These are often thought to offer better tones and harmonics. Hex: The Hexes are designed to hold the windings a little more tightly and help them to last longer. However, they have more inherent tension and are not as flexible as the round cores. No one likes to replace their strings more than absolutely necessary. One of the downsides with guitar strings is that they are susceptible to the oils on your fingers. These oils collect dirt, interact with the air, and speed the oxidation of your strings. This forces you to replace your strings more often. When Teflon was invented, string manufacturers began experimenting with adding this coating to their strings. There are guitar players who love coated strings and those who hate them. Coated strings do have a slippery feel to them. It’s one of those things that takes time to get used to if you’ve been playing for a long time without coating. For many, this sensation is a deal breaker. There is also some though that these strings slow the amount of vibration and decrease the sustain. In all honesty, those little losses could be compensated for with a compressor pedal or a little sustain effect. Professional guitarists often have their strings changed out by a tech between gig, so using teflon-coated strings aren’t an important concern. If you are struggling with strings oxidizing quickly and appearing black and rusted, you can try wiping them down after every practice to reduce the amount of finger oils on them. Or you can try a set of coated strings. We’ll offer some of each for your consideration. You’ll see this brand on my list in a few spots. They make some of the best electric guitar strings, and constantly offer new innovations. The break-through with these strings is the high-carbon steel core. The added carbon really makes this string stand out from everything else on the list. Right away as you are stringing your guitar, you’ll notice that it does not take as much stretching to get them in tune. They also have more consistent tension across the entire string, providing a consistent tone and playing experience no matter where on the string you are playing. The NYXL also hold up really well to a whammy bar. You aren’t constantly having to retune and the sound is better. One of the selling points is that this string holds its tune 131% better. How they measure that, I’m not sure, but it definitely seems to require less maintenance. The clear sound is likely due, in part, to the faster attack of these strings. They have a very clear tone, and if you are running a compression pedal you might need to turn your attack down a little bit. This string has a bright tone which makes them perfect for finger picking and bending. These strings are not coated, giving you a very natural play action to work with. However, they don’t seem to corrode easily. It’s all the benefit of a coated string without the drawbacks. I realize the higher price will give you pause. For those of you who want the best electric guitar string that truly offers something new, then this is the set to go with. If you need something more price-conscious, keep reading. We’ll hook you up. There’s an old saying regarding mothers and the necessities of life and how they result in new inventions. In the case of Ernie Ball, this is very true. An avid musician himself, he noticed that a lot of Fender’s customers were complaining about the heavier gauges in their strings and how hard they were to play. After being rebuffed by Fender, he developed the improved himself and started selling them out of his little store. 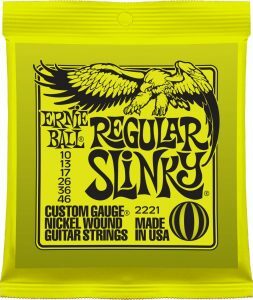 Today Ernie Ball’s Custom Gauges are some of the most popular and are still recognized for their innovative solutions to old frustrations. They offer some of the easiest to play selections on the market. Plus, they are well-known for their durability. Slash himself chooses to play Ernie Ball because they last longer and require fewer changes. Finally, they offer just a little more “edge” to their tone — especially with some of the larger gauges. This makes them a favorite for rhythm guitarists and those playing in some of the heftier metal and punk genres. Their slinky strings are quite popular. It offers a hex core with a variety of metal windings. On the low end, they offer nickel-plated steel windings in the regular slinky, and on the higher end you can get stainless steel or even titanium. They also have a really clean tone that transmits well on any pickups. If you find that you keep ending up with a lot of humming, a switch to custom gauges might just be the thing to clear them up. And, while I’ve never tried them with this, I hear they are an ideal string for playing Rocksmith and accurately reflecting the note you are playing. If you are wanting to buy the string that likes of John Mayer and Steve Vai have played, this is this brand to go with. There is no way to go wrong with Ernie Ball. There are so many excellent guitar string manufacturers out there. Sometimes the choice is difficult. Addario strings makes the top of our list for a few reasons. To begin with that they have one of the strongest reputations. It really doesn’t matter what style you play, you’re certain to be at least moderately pleased with the response is sound D’Addario delivers. 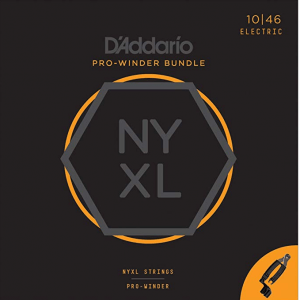 Traditionally offering one of the brighter, warmer sounding sets on the market, D’Addario finds itself being used by an entire range of musicians. The heavy metal artists are about the only ones who don’t absolutely love these babies. I also love that you can buy them in 3-pack, making them one of the best values on the market. As affordable as these strings are, you could have a new string set every time you play. You either love them or hate them. 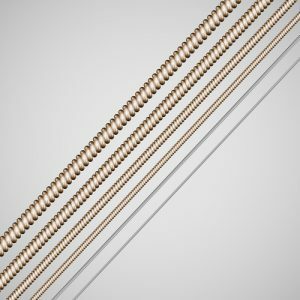 The father of the coated string industry, Elixir is either a trend breaker or a trendsetter, depending on how you look at it. Basically, they figured out that by coating their strings with nanoparticles, they could extend their life significantly. This nanoweb coating seems to offer the protection you are looking for (possibly better protection than most) without compromising the sound . Now, they aren’t the first manufacturer to try this. Always before you’d end up with nasty plastic-coated things that sounded horrible. So when Elixir finally came up with a formula that worked, it really shook up the musician world. Some people still hate these. They claim that they feel too slick. And that they don’t reverberate enough. Me? I haven’t noticed any of those problems. Sure, they feel a little bit different, but you’ll get used to it right away. What I have noticed, however, is that these strings last for freaking ever. I’m sometimes getting 6x the use out of them that I was getting out of my other sets. Considering how much I dislike the restringing process, you can understand why I love them so much. I just wish those old Polyweb version they used to make were easier to find. Those lasted forever and then some. But the new Nanowebs are pretty good, too. And some folks think they sell better. It’s hard to find a better string than the NYXL. But Ernie Ball strings offer an unmatched legacy and the EXL110’s are the best cheap electric guitar string. Strings are cheap. Don’t be afraid to try a few different sets until you get the right strings for your playing style. Hopefully this article shortened the length of your search. Here is a few quick pointers on how to pick the perfect set for your guitar. Strings pick up all of the sweat, grease, oil, dead skin cells, microscopic grime, and even your DNA as you play. These nasties hang onto your instrument and pile up as time goes on, causing the them to tarnish, lose their tune and even rust. Furthermore, because they are under continual tension, they will slowly stretch over time until they reach a point where the guitar is never really in tune. It doesn’t help that the frets can become sharp over time and dig into the strings some, causing flat spots in them. In fact, they can age to the point where the notes are dull and flat. 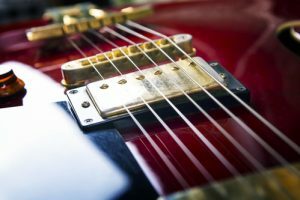 As you will expect, a guitar that is played frequently will have strings that age much more rapidly than one that is just sitting in its case in your basement. However, even in storage, they under tension and are slowly accumulate damage from moisture and dust in the air. Some of the high-end options will say that for the best tone, you need to replace them after 4-10 hours of playing (depending on the brand). Unless you are a concert musician, you will not need to replace them nearly as much — especially if you care for them properly. One of the best things you can do is wash your hands before picking up your guitar. It will make an incredible difference in how long your instrument lasts. Additionally, you can wipe your guitar down after playing. Simply take a soft, microfiber cloth, and wipe down the strings. If you are not using a set that has poly-coatings on them (such as the Elixirs), you can also use some rubbing alcohol on your rag to clean them. Follow up with a wipe down of your favorite string lube. If you are constantly sounding flat and your guitar is having a harder time staying in tune, it is definitely a great time to change to get new strings. Additionally, if they are starting to look tarnished, or if they are starting to show rough edges. All of those are great times to change them out, or to take the opportunity to do an inexpensive upgrade. I normally change them out pretty early on with a new instrument. I like to get one of my favorite brands and favorite gauge of string on it. For the brightest tone, you will want to change them once a month on a guitar that sees daily practice. Guitarists that play in a smoky residence or smoke-filled bars will likely need to change more often, because smoke residue is also a negative. Not everyone has the resources to change them that often, however, and I’ve seen friends go 6-8 months between changes. Eventually, however, one of them will break (at least if the student is practicing regularly). Just remember that the strings will sound a little differently during the first few hours of play while they are breaking in. How to restring your electric guitar in one easy video.